Ankle tattoos are probably one of the most popular types of women tattoos. Due to its neutral placement, it is easy to hide it, so it is a perfect choice if it’s going to be your first tattoo. But the comfort hiding it is not the only advantage of ankle tattoos. The ankle is a very delicate and feminine area, which with a beautiful tattoo looks even better. You can choose from the inner or the outer part of the ankle. The inner side will be less visible, while with the outer ankle you’ll have more space for a more prominent tattoo. The most common ankle tattoo designs are flowers and small symbols. Also, everything that fits into this area is also acceptable. 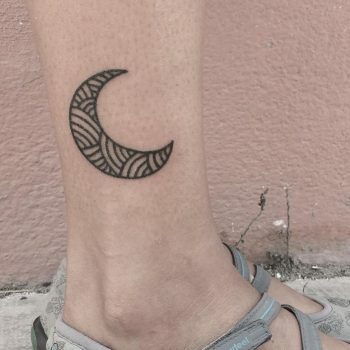 We don’t recommend getting a sophisticated tattoo on the ankle, because there is just not enough space. Take a look at our collection of ankle tattoos below. We’re sure you’ll find a perfect idea.